Summer days are hot, muggy, and at times, unbearable. 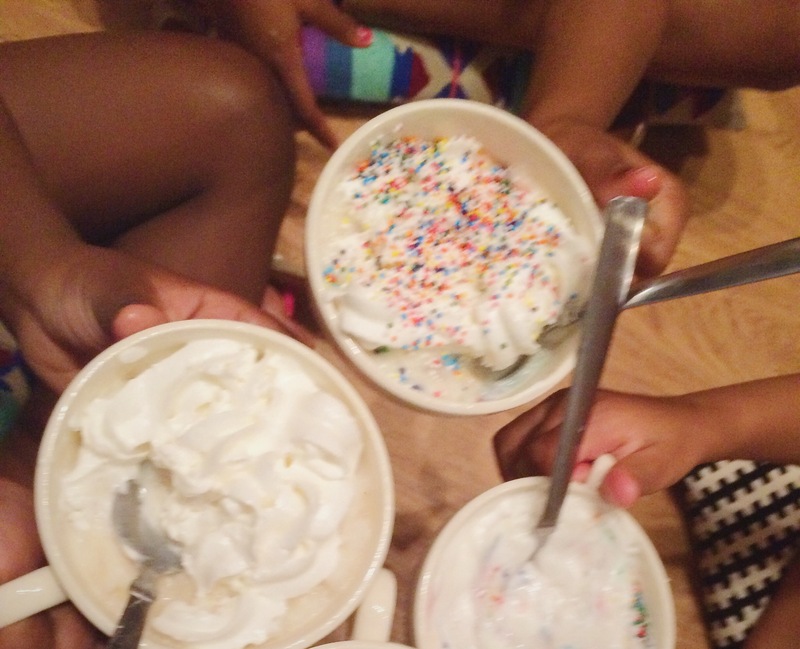 But, there’s nothing like creamy ice cream to cool you down while giving your tummy a happy dance party. My niece, Kay, had this exact idea in mind during summer camp. She supervised four little girls as they prepared some homemade ice cream in a Ziploc bag (yes, you read that correctly–in a Ziploc bag) on one of July’s hottest days. Interested? Here are the ingredients and instructions for preparing this sweet treat for some guilty pleasure or for a summer ice cream party with friends. 1) Place ingredients into smaller Ziploc bag and seal the bag tightly. 2) Place ice and rock salt in the larger bag and then add the filled smaller bag of ingredients. 3) Seal the large bag. 4) Squeeze the bag until ice cream is thickened for about 10-15 minutes. 5) Remove small bag, unseal, and eat with spoon (optional). 6) Remove small bag, unseal, and pour ice cream into an ice cream bowl. 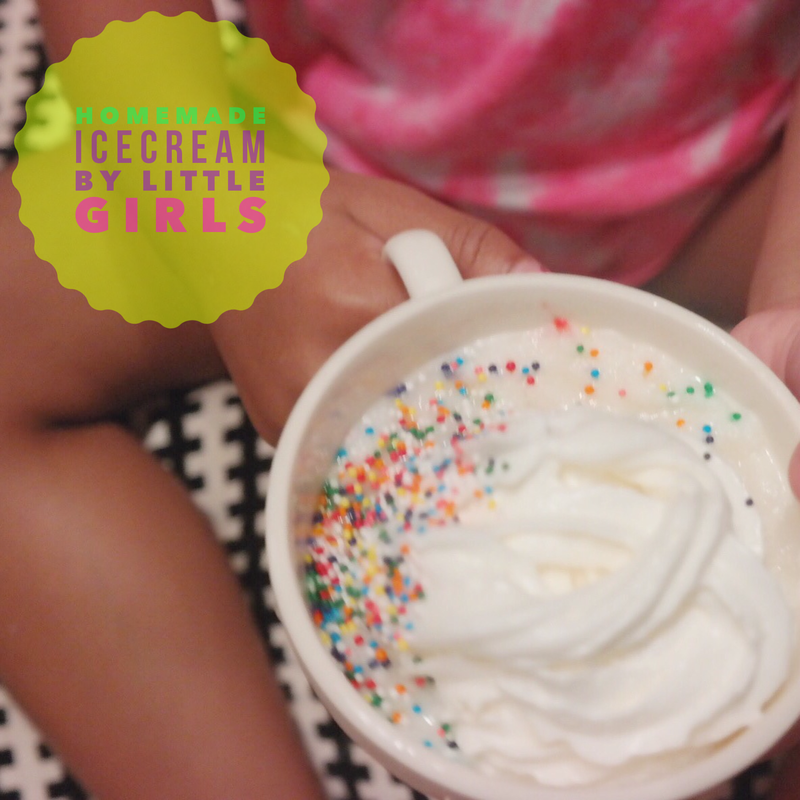 The girls wanted sprinkles and whip cream! I promise this is the yummiest and cutest project, ever! Next If You Ever Wanted to Celebrate A Friend’s Birthday, Go To Aruba!